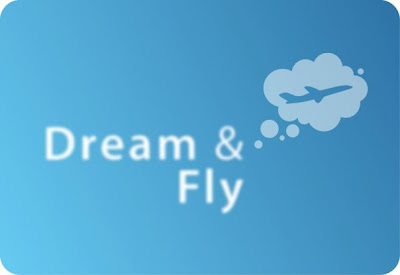 If It's Hip, It's Here (Archives): Dream & Fly. 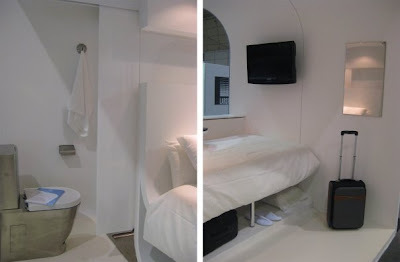 Mini Hotel Pods For The Weary Traveler. 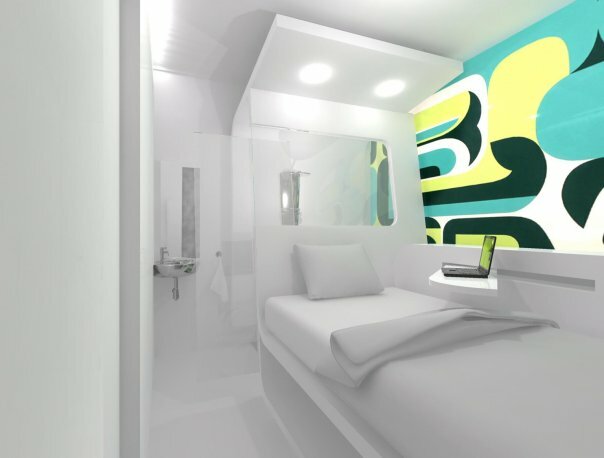 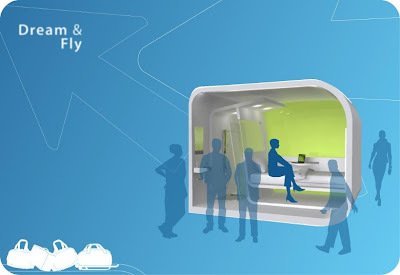 Barcelona based company Dream & Fly has invented luxury low cost accommodations for busy people in transit who haven't the time to find a hotel nearby. 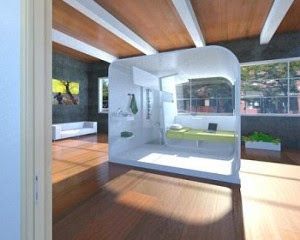 By creating individual prefabricated micro-hotels (modular pods), complete with a bathroom, a weary traveler can nap or rest in a clean, comfortable, private and even wired space. 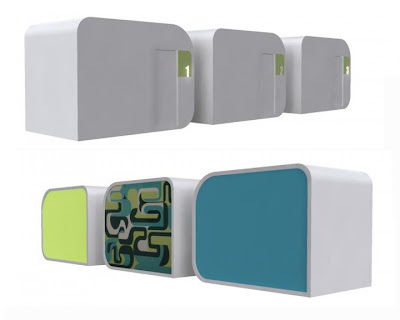 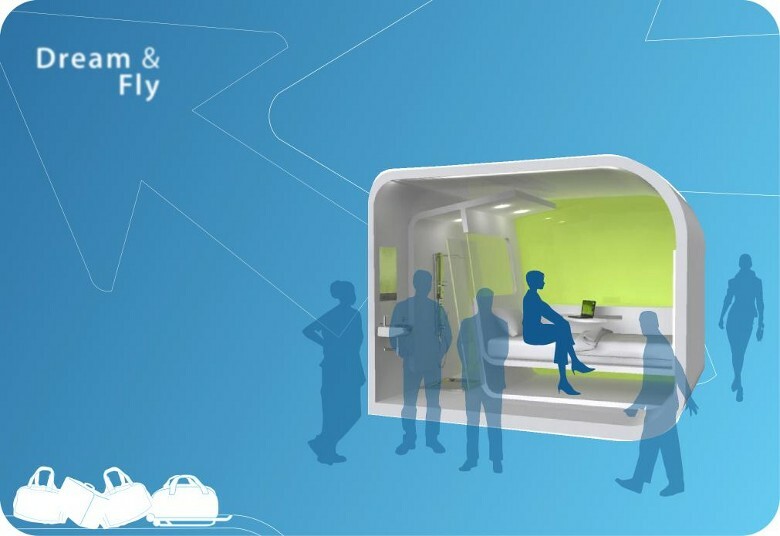 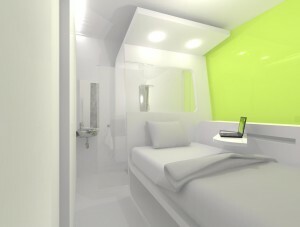 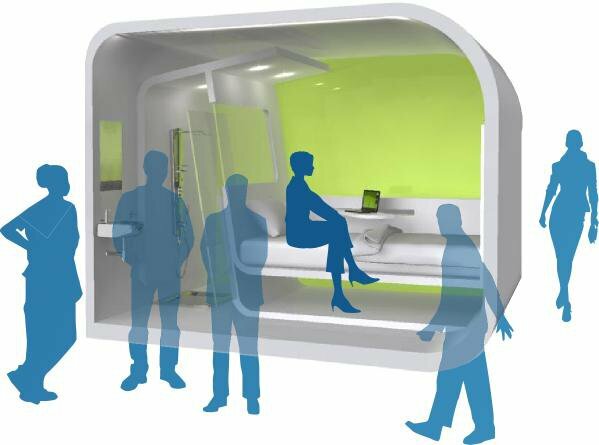 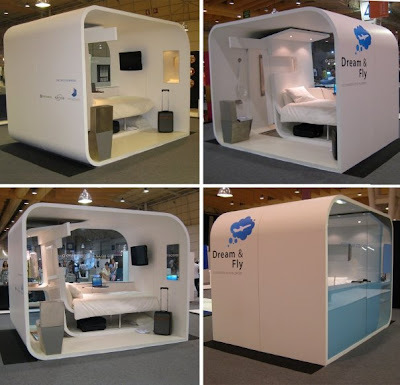 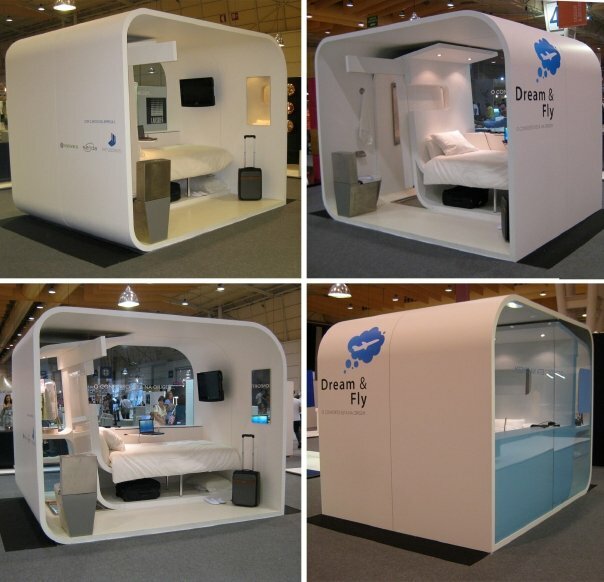 The Dream & Fly "bubbles" are modular accommodations intended to be installed within busy airports, sea ports, train stations or other areas in which large concentrations of people are constantly traveling and need a small comfortable private place to sleep or rest.